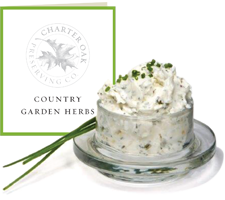 A delightful blend of herbs to mix with cream cheese creating a Boursin type cheese spread. Serve with crackers, as a dip for vegetables or as a spread on sandwiches. Mix with butter for a special compound butter or sprinkle dry over salad greens for a unique flavor. Flavors one pound of cream cheese or butter.